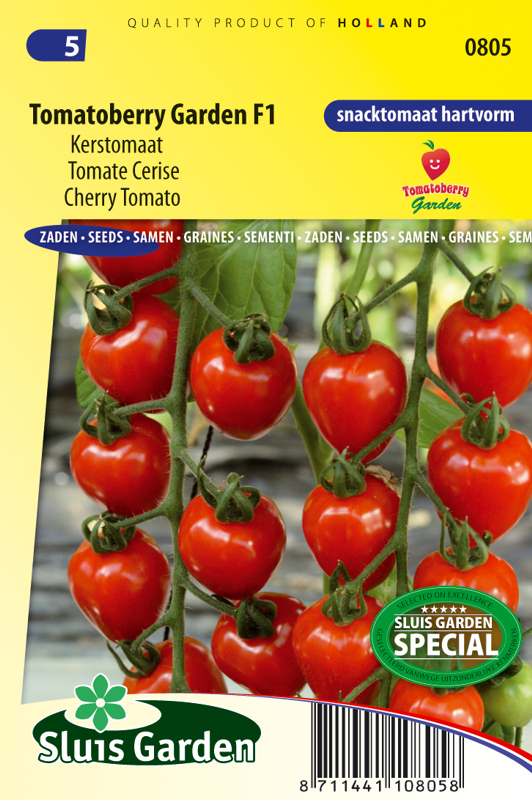 Long bunches with red, heart-shaped cherry tomatoes. A very special tomato with a high sugar content. The flavour is deliciously sweet and is perfect as a snack or in salads. 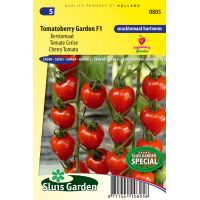 Can be cultivated in greenhouses, outdoors and in large pots. Pre-sow and as soon as they can be handled, prick out in pots or soil blocks. Later transplant to a greenhouse or outside to a warm, sheltered spot. After approximately 4 fruit bunches pinch out the top of the plant. Always remove the offshoots in the axils of the leaves (nip out). After some time fertilize with tomato feed.